The 24th Police camp has this morning, Monday February 26, kicked off at Kigo police training school, to discuss infightings in the Force and other security issues affecting the country. The sitting comes after the Force has been reportedly infiltrated by criminals and a wave of insecurity has hit the country. 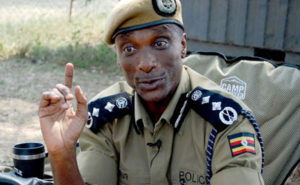 Speaking at the police council gathering at Kigo, the Inspector General of Police, Gen Kale Kayihura admitted deficiency in police intelligence and the infighting in the force but pledged to eliminate “mafias” in the Force and other gangs in the country. Gen Kayihura said police is to embark on strengthening the force to fight violence and criminality through developing the community policing model. “Through our community policing model and Mayumba Kumi strategy which has already started in some parts of the country like Masaka, the police will help communities to realize their role in the country’s security,” he said. He also warned sports betting addicts and companies that police are eyeing their actions as they are reported to be the number one criminals according to intelligiency reports. “The conference is a ground breaking milestone for ending violence and criminality in the Kampala Metropolitan Area and the rest of the country, police is eyeing sports betting people because they are now the number one criminals,” Gen Kayihura said. He added that police operations are stiffled by the ever reducing budget which limits police operations in the the country and asked government to support them in eradicating gangs. While officiating at the 2-day camp, the minister for Internal Affairs, Gen Jeje Odongo called for an aggressive Inter-agency cooperation among security agencies if the country is to end criminality. Gen Odongo, pointed out infightings and lack of teamwork in the Force that has created room for infiltration. He said that police image is on the attack and called all police directors to find an immediate solution for this as the Force has lost its role and place in the community. “I would love that we find time to review what has brought us to this level, we need to discuss pertinent issues affecting police, self criticism and I suggest that we should have no attribution thereafter” he said. He also launched the police 2017/2018 strategic and work plans. The police camp will last for two days.